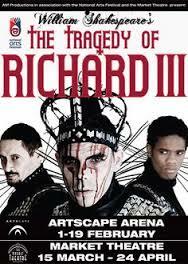 Back in 2011 I saw the Tragedy of Richard III at the Market Theatre, directed by Fred Abrahamse. Here 3 actors played multiple parts in a play about Shakepeare’s Richard III. David Dennis played The Duke of Buckingham ; The Duchess of York; Queen Margaret; Edward IV and Lady Anne amongst others. It was brilliant! 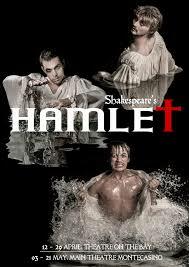 So for sure I am not going to miss Hamlet which has returned from Europe where it received rave reviews. It will be showing at the Pieter Toerien Theatre at Monte Casino for a very limited season from 3rd May to 21st May before the production heads off for a tour of the USA. Abrahamse & Meyer’s production takes its inspiration from one of the earliest recorded performances of Hamlet, which took place during Shakespeare’s life-time. This production re-imagines Shakespeare’s most iconic play within the context of the historic performance aboard the Red Dragon, as a play within a play within a play, utilizing a cast of only 6 actors playing 6 Jacobean sailors who, in turn, play all the parts in Shakespeare`s Hamlet. The production premiered at the National Arts Festival in Grahamstown in 2015. The production stars Marcel Meyer in the title role, with veteran Shakespearean actor Michael Richard taking the role of King Claudius. Dean Balie doubles as Polonius and Horatio with Jeremy Richard as Laertes, Matthew Baldwin as Ophelia and Callum Tilbury in the role of Queen Gertrude. This is a not-to-be-missed production.